Onam, the greatest harvest festival of Keralties is being considered to be one of the popular celebration in the country. This 10 days festival of happiness, opulence and fulfillment is widely celebrated by the malayali community residing in various parts of the world. 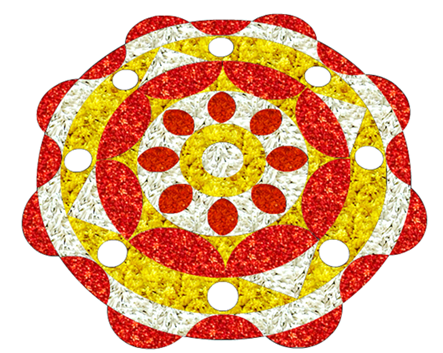 Thickly packed with spectacular events, Onam gives hopes and enjoyment to the people of Kerala. According to tradition, flowers play a significant role in the remembrance of the good days of King Mahabali. During the 10 days long festive season, people do arrange Pookalams in their courtyards and professional groups. Traditionally, Atthapookalams which is being made on the Atham Day include flowers common to Kerala and the Dashapushpam. Along with the Pookalams beautifully decorated with flowers, earthen mounds, which represent Mahabali and Vamana are placed in the dung-plastered courtyards in front of the house. 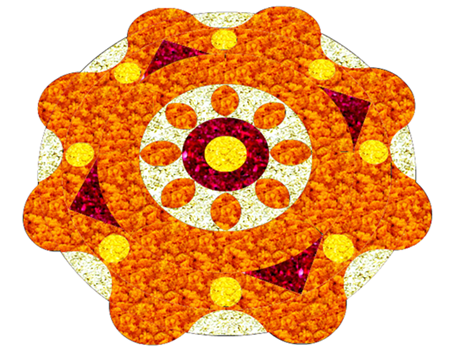 But the new generation thinkers have modified the conventional thoughts and added their contribution adding more varieties of flowers in designing the Pookalams. 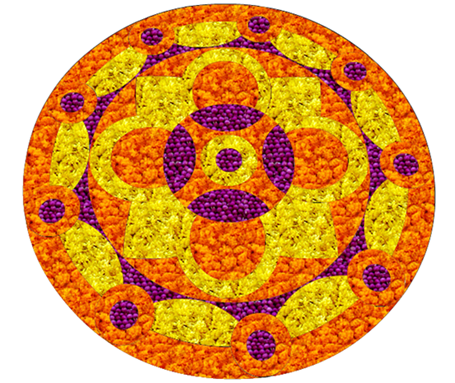 Much interestingly, Onam Pookalam designing competitions are being held at all places where malayalis reside. From the traditional floral designs featuring circular shapes, a transition happened during the years giving way to unique designs which depict different cultural and social aspects of Kerala life. Pookalams or Floral Carpets are organized by prominent organizations or clubs while the young generation keeps their complete presence by supporting their elders. As the contests are being held with vigor and pomp, contestants try to add more professionalism to their designs. 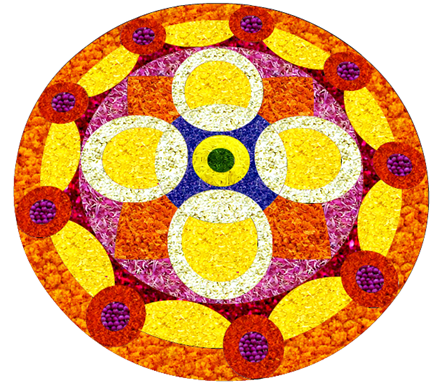 Selecting a design, following various rules and making the Pookalam, too much effort and perfection is needed. Prior to the competition, all the participating groups try to make a study on the pattern of designs. To get an upper hand in the competition, the teams try to make minute rectification in the designs. Here are some interesting Pookalams designs which can be used in homes, institutions or offices during the Onam season. We have tried to bring more simplicity in the designs which will enable people to put less effort in designing it on the floor. As most of the flowers are available in our courtyard, there is no need to buy it from the market. If needed use wise decision in spending money for the flowers.